A native of Boston, MA, Tom Janes has a 30 year track record in private equity and investment banking. Initially hired by Mitt Romney after graduating from Harvard Business School, Tom was employee number eight for Bain & Company in Europe in the early 1980’s. Tom currently owns and operates Kerry Capital Advisors, Inc. based in Boston. Kerry Capital Advisors is a principal and advisory firm focused on middle market private equity investment opportunities in North America and Europe. Kerry Capital Advisors works with superior management teams, privately held companies, family owned businesses, and/or public corporations, seeking $10 Million to $100 Million in recapitalization, growth, buyout, or consolidation transactions. Kerry Capital Advisors participates in a broad range of markets including manufacturing, consumer products, logistics and distribution, health care, business services, energy, media and publishing, technology and software. Prior to founding Kerry Capital Advisors, Mr. Janes was Managing Director for Lincolnshire and head of Lincolnshire’s Boston office, starting in 2003. Mr. Janes served as a Board member for Lincolnshire’s portfolio companies: Cutters Wireline Services Inc., Dalbo Holdings, Inc., and Paddock Pool and Construction, Inc.
Mr. Janes has been principally involved as a fiduciary with over $250 Million of private equity investments that have generated approximately $600 Million of returns for investors. During his private equity career, Mr. Janes has been involved in seven institutional fund raising efforts that have totaled over $2 Billion. Prior to Lincolnshire, Mr. Janes was co-founder and Managing Director of Triumph Capital Group where he sourced and managed approximately $900 Million in private equity capital. While at Triumph, he led numerous investments in middle market companies in a variety of recapitalization, growth financing, leveraged buyout and consolidation transactions. He also served as a Board member of several Triumph portfolio companies. 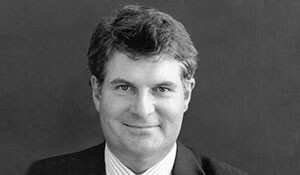 Prior to co-founding Triumph Capital, Tom was an investment banker at Drexel Burnham, First Boston, and Lazard Freres & Co., where he led numerous corporate finance and merger and acquisition transactions. As noted earlier, Mr. Janes started his career and assisted in the opening of Bain & Company’s London office. Mr. Janes has served on the Boards on numerous private companies and the following public companies: Alarmguard Holdings, Inc., Ascent Pediatrics, Inc., CAPE Systems Group, Inc., DairyMart Convenience Stores, Inc., Plymouth Opportunity REIT, and Providence Health Care, Inc.
Mr. Janes is an advisor to the Harvard Corporation and is a member of the Board of Directors for many charitable organizations. A frequent speaker at industry events, Mr. Janes has written more than 100 articles for such publications as The New York Times, The Boston Globe and The World Paper. Prior to graduating from Harvard Business School, Mr. Janes graduated from Harvard College with honors.